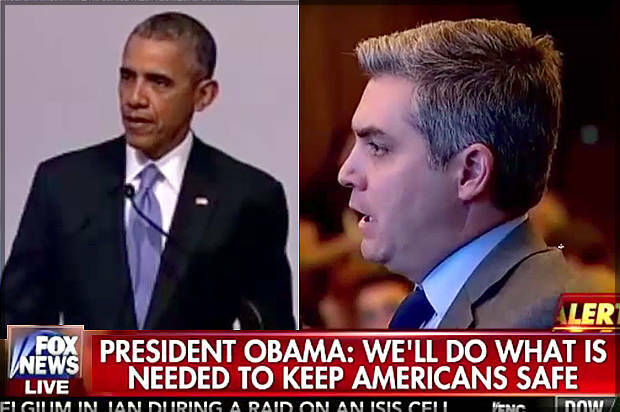 CNN’s senior White House correspondent Jim Acosta pressed President Barack Obama today at the G20 in Turkey about ISIS. Acosta said, “This is an organization that you once described as a JV team, that evolved into a force that is now occupying territory in Iraq and Syria and is now able to use that safe haven to launch attacks in other parts of the world. There was a mixed reaction on Twitter. Some praised Acosta’s bluntness, whereas others criticized his language. @CNN God bless your wonderful reporter Jim Acosta for putting the President to task! It's about time U asked these important questions! @Acosta does CNN seek to hire idiots? Do you contribute to a healthy dialogue? Your skills seem best fit for junior HS reporting.